I had this posted up a while back for trade. This time around I am looking to sell it. I know this is a decision that I will regret forever but at this point in time I need to sell it. I just barely moved to a place where I can't keep it covered all of the time. I really want to see it go somewhere with better weather than Utah. I have owned this car for the last two years and it has been registered up until I parked it for the winter. This car has been parked and not driven from October-April during that time. It has passed emissions and inspections here and I have driven it sparingly. That said I wouldn't hesitate to drive this car anywhere. Last summer I took a 5 hour round trip through northern Utah and Wyoming and it ran like a champ. The car isn't perfect but is in really good shape. The interior is in good shape also. 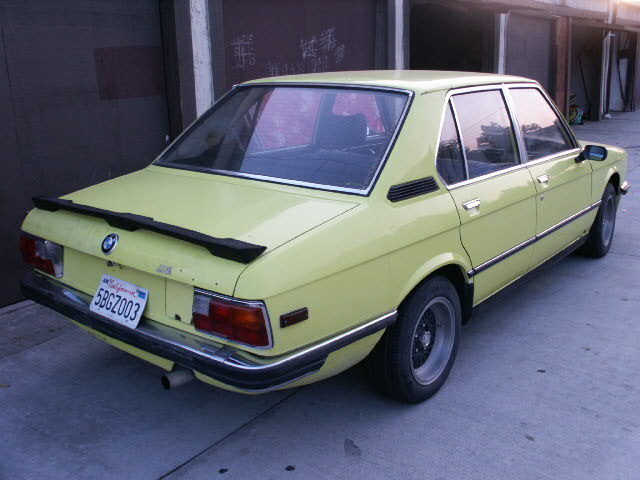 It is the original Golf color. It was imported through California back in the early 90's. Let me know if you have any questions. I have additional pictures but just not here at work with me. Price is $2900. I will consider partial trades for 15” wheels for my 2k2 which is almost finished. You can reach me at jeckel30 at gmail.com. Beautiful car! Good luck with the sale. This was my friend's car in L.A. 3-5? years ago that I almost bought for $2K. It had only some minor rust that was fixed/stopped. The 4 cyl. motor in that car I remember was the smoothest M10 I ever heard/saw. 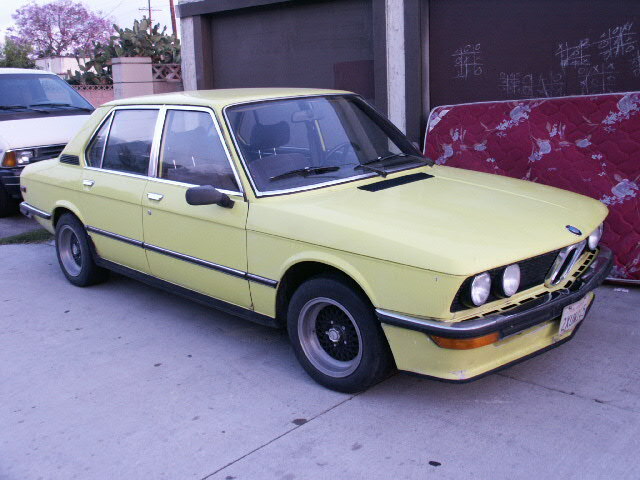 This car is the bare-bones E12 model w/NO options, which makes it very light! I would have bought it if it was a 75' model; damn CA smog laws! Check out the way it looked before the makeover. Wow! I think it very well is. I have the same small crack on the front airdam in the corner. Had some offers but the car is still available. can you send additional pictures or give a phone number. I am seriously interested in the originality of this car. It would be the perfect companion to the 02 race car I am building as we speak. I sent you an email earlier today. Please get in touch. Hello - VERY interested in the car. Please email or call me. I got you a plug on bring a trailer..
hey i am interested in your car. what is wrong with it exactly?